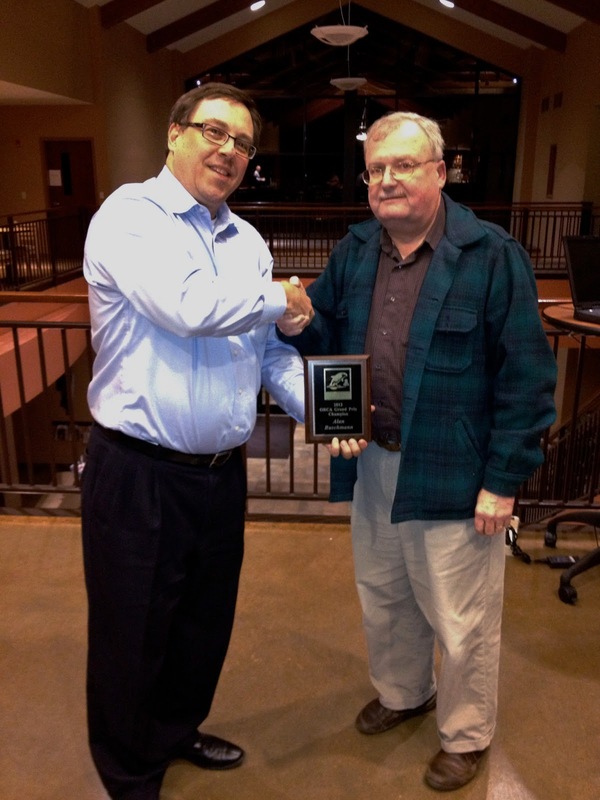 Congratulations to Al Buschmann (pictured on right) for winning ORCA's 2012 Grand Prix, which rewards both performance and participation in ORCA-sponsored tournaments. Al received a plaque and a gift certificate for his accomplishment. Steve Etzel presents the 2012 Grand Prix plaque to Al Buschmann (r). The 2013 Grand Prix is already under way! Many thanks to ORCA and its officers for their dedication in promoting the game in the North Shore. Wishing all of you continued success!